The annual IDTechEx Electric Vehicles Land, Sea & Air awards took place at the DoubleTree Hotel in San Jose, CA on Tuesday March 27. 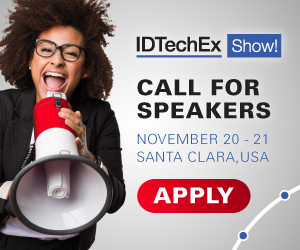 The awards recognize company development and success and are hosted by IDTechEx, a leader in providing independent global research and analysis on the development and applications for electric vehicles land, sea and air. The entries were judged by Dr Zafer Sahinoglu, Mitsubishi Electric Research Labs; Ed Benjamin, Chairman Light Electric Vehicles Association and Dr Brien Seeley, President Café foundation. Ryno received this award for their all electric, self-balancing, one wheel motorcycle. This vehicle utilizes balancing and ride enhancing technology to create a single wheel vehicle which has a similar feel to a 2-wheel motorcycle in half the size. Synper 3 & Solution F have been chosen for this award based on the World's first manned electric helicopter. The 100% electric powered helicopter weighs only 170kg when empty and can fly for 10-12 minutes. Pipistrel won the New Vehicle Application award for their Taurus G4 4-passenger electric aeroplane. They received FAA certification after logging 10 hours of flight time. The fuel consumption averages 403 passenger miles per gallon, which is nearly 7 times better than the comparable general aviation aircraft. Oxis Energy received this recognition for their high-capacity Lithium Sulphur cell. This battery is based on a new electrochemistry that is set to replace the Lithium Ion technology due to its high capacity, inherent safety and lower costs of manufacture. The Los Angeles Department of Water and Power was given the award for Advancement of Infrastructure for their Smart Grid Regional Demonstration Program and Electric Vehicle Project. The goal of the project was to research, design, and implement varied Smart Grid technologies within their territory in order to demonstrate the viability of Smart Grids. Their ongoing efforts have made them a prime candidate and recipient of this award. Image: Mr Ruslan Sibagatullin receives the Advancement of Infrastructure Award from Dr Peter Harrop at the DoubleTree Hotel. IDTechEx have published 18 in-depth reports on the EV industry offering ten year forecasts, analysis and case studies. See www.IDTechEx.com/research for more information.